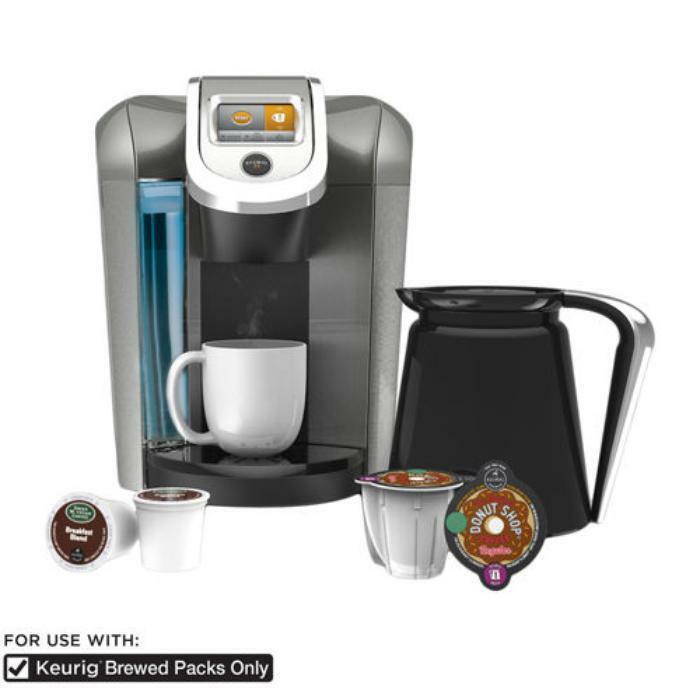 Next month marks the one-year anniversary of when the Keurig company first announced its plan to produce a new generation of home coffee machines that would only make coffee (or other hot drinks) with officially licensed, branded and copyright-restricted K-cups. To celebrate this momentous event, today also marks the third or fourth time we here at ConsumerAffairs reported yet another way to work around Keurig's licensing restrictions — if you are so inclined. You're surely familiar with Keurig and its K-cup single-serving coffee (or tea, cocoa and other hot-drink) pods; in the past year, the company has also announced intentions to branch out into the single-serving soup and at-home soda fountain markets. When the first generation of Keurig single-serving machines went on the market, Keurig made money two ways: first by selling the machines, then by selling the coffee and other beverage pods for them. But Keurig's patent on single-serving pods expired in 2012, and by 2013, off-brand or refillable K-cup-style coffee pods had exploded all over the market – and sales of Keurig-branded pods plummeted. Last March, the Keurig company announced that it would start producing a new generation of Keurig single-serving coffee machines, installing what TechDirt called “the java-bean equivalent of DRM” (digital rights management), in order to ensure that only official Keurig-branded K-cups may be used in the next generation of Keurig coffee makers. What does that even mean? Forget coffeemakers for a moment, and imagine this analogy with a different appliance: a typical kitchen stove will heat any type of food you place on its burners. But suppose one manufacturer designed a stove that could only cook one brand of food; if you tried using that stove to heat up a can of store-brand vegetables or boil some off-brand pasta, you wouldn't even be able to turn the stove on. But it didn't take long for rival coffeemakers, as well as everyday owners of Keurig 2.0 machines, to discover various ways around the new machines' restrictions. Keurig released its 2.0 beverage makers on the market last June. By August, two competing coffee companies, Mother Parkers and TreeHouse Foods, had already figured out how to produce lower-cost pods compatible with Keurig 2.0 machines. It's quite simple, really: Keurig equipped its 2.0 machines with special infrared scanners, to ensure that instead of working with any properly sized pod or K-cup, as was the case with first-generation Keurig machines, the new machines also required pods printed with special ink reflecting certain infrared wavelengths for the scanners to detect. As various rival coffeemakers soon discovered, producing ink capable of reflecting that particular infrared wavelength is very easy. And other workarounds are easier still. In December, we saw an anonymous YouTube video demonstrating how very simple it is to use an ordinary piece of household sticky-tape to wedge an officially branded Keurig 2.0 label in front of the infrared scanner, to use unbranded pods in the machine. However, this hack still requires you to somehow get hold of an officially branded 2.0-compatible pod. If you don't want to buy any genuine 2.0 pods, Gourmet-Coffee.com claims to offer a free workaround: a “Freedom Clip” to insert into a 2.0 machine, and so that “it will see all k-cup type pods as 'Authorized K-Cups®',” according to Gourmet-Coffee's website. Of course, the easiest way to get around Keurig's infrared DRM restrictions is to not bother buying a Keurig 2.0 machine at all. You might even go back to nature, so to speak, and forget about the prepackaged pods. There are plenty of other ways to make a single cup of coffee. As if on cue, while this story was being prepared, the two-year-old Keurig in the ConsumerAffairs dungeon bit the dust, having apparently had it with us. 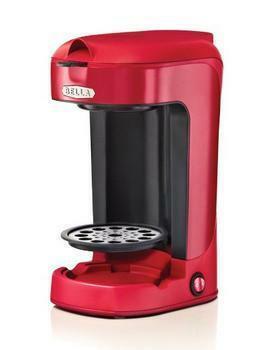 We rushed to Amazon and ordered a Bella single-cup coffeemaker for $18 and we are today eagerly awaiting its arrival. We'll let you know how it works.